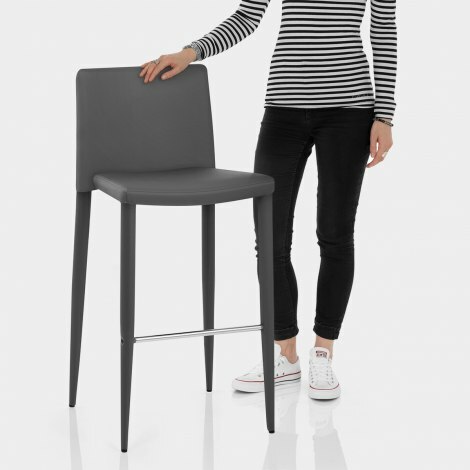 Stylishly stackable, the Healey Kitchen Stool Dark Grey will complement any interior with its style and practicality. Comfortable and contemporary, the Healey has a truly original and versatile design that makes a wonderful addition to the home. Gorgeous grey faux leather upholstery covers the padded seat, with a squared, high backrest included to sufficiently support your back at all times. Fixed at kitchen counter height, the four-legged frame is upholstered in matching faux leather, whilst the footrest is crafted from polished chrome, affixed to the frame at just the right height for supporting your feet. Not to be missed, the Healey also includes protective floor plugs to help to look after your floors, cementing its fantastic reputation. "Better than I expected...much better quality"
So pleased with these stools, fantastic service and good quality. They are beautiful stools, sturdy and just the right colour, perfect. They look stunning in our new kitchen. Not the cheapest around but well worth the extra cost. Great quality & little assembly required. They provide a fabulous finish to our new kitchen. Highly recommend. Really happy with my two new stalls. Go lovely with my kitchen. Very quick delivery and hassel free. 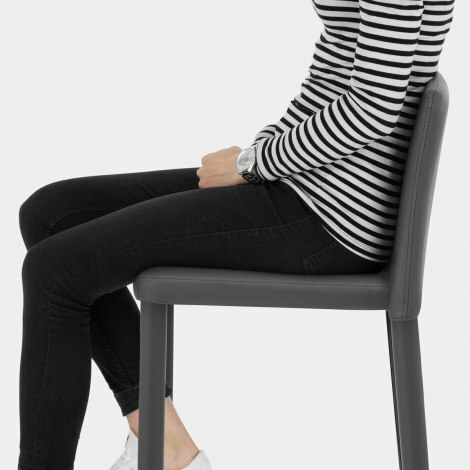 Really impressed with these chairs! Look great, easy to put together and super quick delivery! Great looking sturdy bar stools with only one foot bar to fit. Delivery went smoothly and great communication.